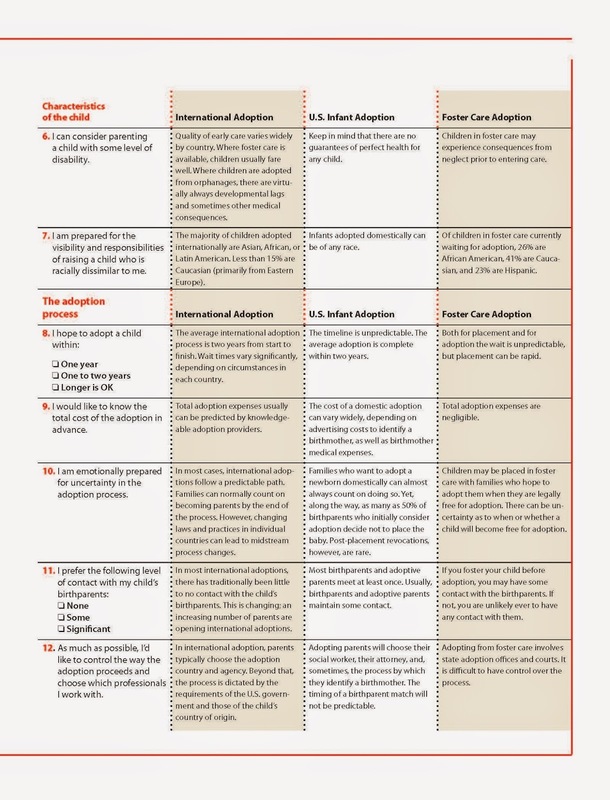 This week I am responding with a big huge THANK YOU to the folks at Adoptive Families and Building Your Family for their incredibly helpful and informative charts. 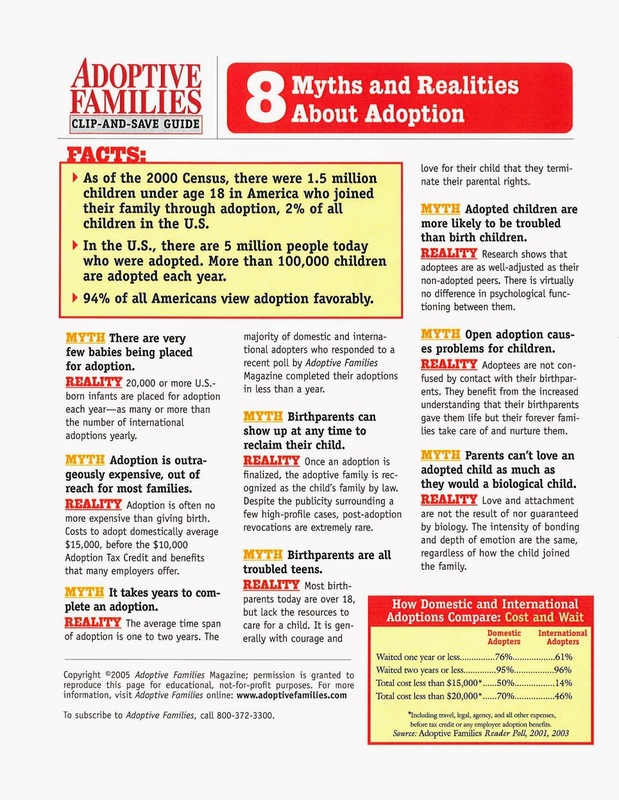 The first step to adoption is feeling the calling in your heart, soul and mind, and the second step is research! The Myth & Realities form you will see bellow is one that I read over and over, and even brought to my family to read, while I was in the research stage. 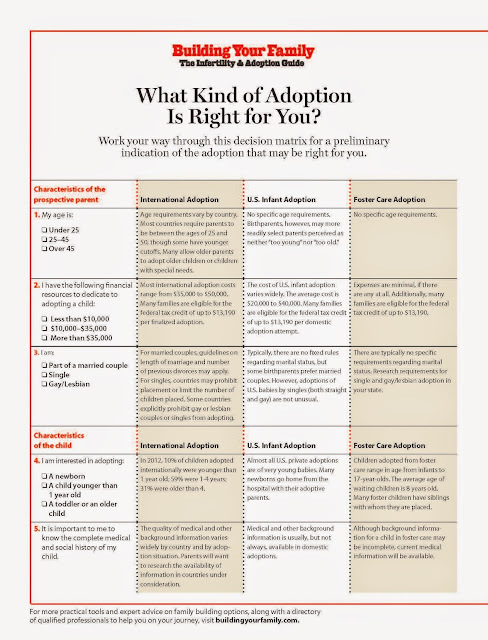 The data used for this form is based on research reported in the 2005 Adoptive Families Guide. That was a name formally used to identify a packet now called Building Your Family; Donor, Surrogacy, and Adoption Guide. 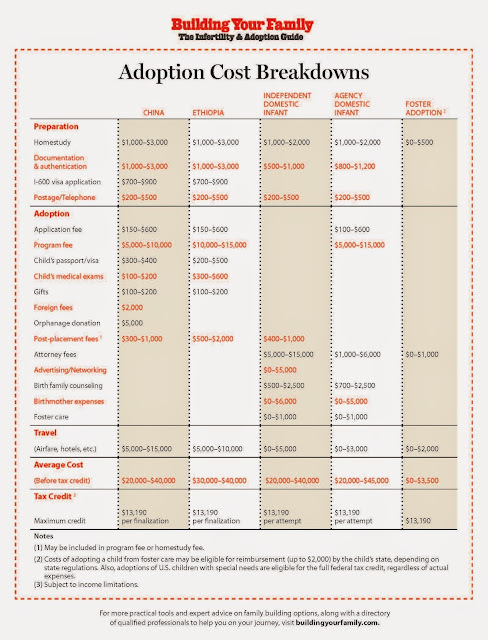 All other forms & charts in this post are from the 2013- 2014 instalment of the guide. 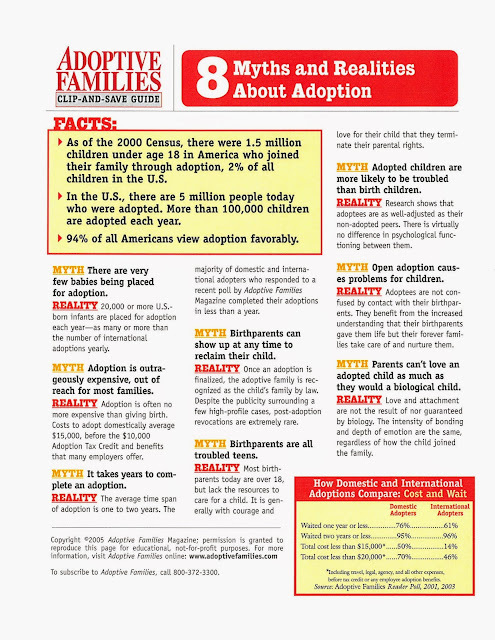 While both the Adoptive Families and Building your Family websites are a jam packed with links, and therefore a tad bit difficult to navigate, I highly encourage you to go click around each of them because they do offer a tremendous amount of valuable free information. 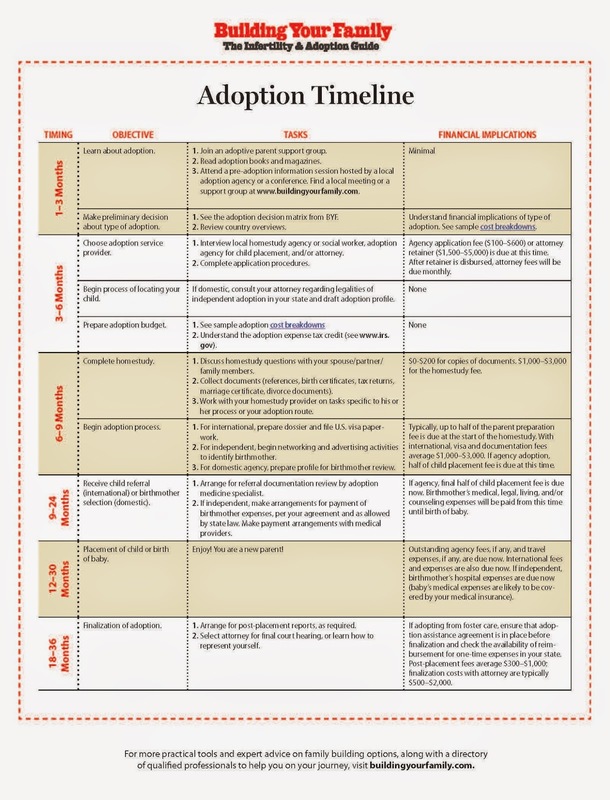 I have decided to highlight the following forms as I believe they deliver the most critical information for anyone beginning the research stage of an adoption. As I said, this first document is from a somewhat dated guide, but I think it still has value. It can currently still be found at For a Child under their free info packet link. Personally, my favorite part of this form was the red and yellow table at the bottom offering statistics on the time a family generally waits to bring home their child. The final chart I've collected for you is one that addresses a timeline. It gives you an approximate range of the time you can expect each step to take. 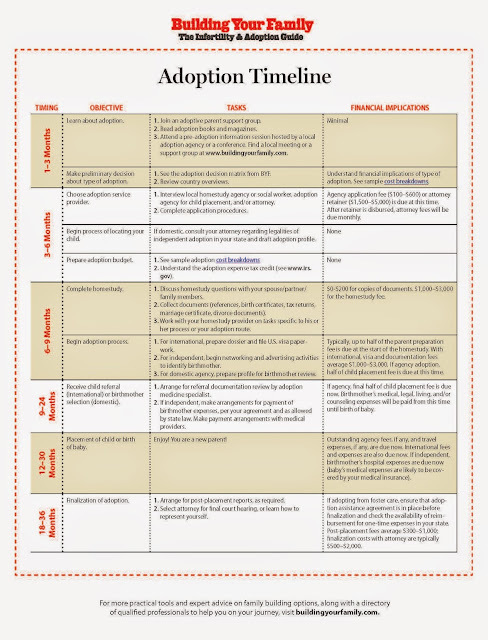 While the whole adoption process may take longer than you would like, don't lose hope. The family you have dreamed of is within your reach! I hope you have found this post informative, and please remember I pray for all my readers and all those embarking on the incredible journey of adoption!